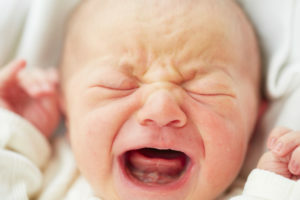 Brain damage during birth is a serious medical condition that affects countless newborns annually, as a birth injury attorney Phoenix AZ trusts can attest. According to the Brain Injury Association of America and the U.S. Centers for Disease Control and Prevention, traumatic brain injuries (TBI) are a leading cause of permanent disability and death for infants and children. As one of the most serious birth injuries, this type of trauma can affect a child throughout his or her entire life and it may negatively affect the ability to grow and develop normally. As a birth injury attorney in Phoenix, AZ can explain, a brain injury can occur for a number of reasons. The baby may have been deprived of oxygen during a prolonged delivery, had the brain compressed in the birth canal, or suffered a blunt force trauma during a delivery that required a forceps extraction. It is important that you recognize the signs of a brain injury — even though some symptoms may not appear for years after the traumatic event. Cognitive delays could include difficulties with attention, concentration, and controlling impulses. Your child may also experience problems with language development as well as the ability to process memories and information. These symptoms may not be readily apparent until the child enters school, but that does not preclude you from seeking the help of a birth injury attorney in Phoenix, AZ. The brain injury may manifest as attention deficit disorder, Asperger’s syndrome or autism. The problems can also be perceptual and physical. Brain trauma is a rare event. When it does occur, it is often caused by medical negligence. As a parent, you have a right to know what happened and whether the accident could have been prevented. If your child’s trauma was the result of medical negligence, you may be eligible for a settlement that covers your child’s medical expenses. If you suspect that your child has a TBI that may have been caused during delivery, it is important that you consult with a birth injury attorney Phoenix, AZ relies on from Rispoli Law, PLLC to fully understand your rights. Birth injury lawsuits are complex and often require a specific expertise. Our experienced legal team may determine the best course of action to help you receive the just compensation that your family deserves.